Greg has been flying at the Beverly Flight Center since 1989. He loves flying, learning, and teaching. 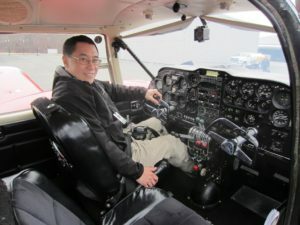 He earned his instrument rating, commercial pilot’s license, multi-engine rating, and flight instructor’s licenses at the Beverly Flight Center and is committed to providing his students with the best possible learning experience. Greg is constantly studying to learn more about flying and instructing. He recently earned his Ph.D. at Embry-Riddle Aeronautical University studying aviation safety and human factors. Greg is a factory-trained Cirrus Standardized Instructor Pilot (CSIP) who leads our team of Cirrus Aircraft flight instructors. He is also a member of the New England FAA Safety Team.